Please remember to pray for Kirk and Ray as they debate two atheists in New York for ABC television this Saturday. The debate will be filmed for Nightline in New York City, and will be streamed LIVE on their website on Wednesday, May 9. This notice is to let you know the network recently changed the streaming time from 1:00 p.m. to 2:00 pm EST.We would be grateful if you would forward this newsblast all over the internet. This is a wonderful opportunity for the gospel. We will send out another blast next week with more details. Thank you. 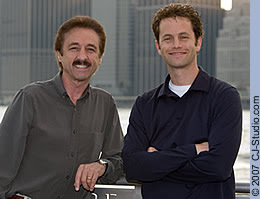 Actor Kirk Cameron and best-selling author Ray Comfort will square off with two atheists in New York on Saturday, May 5. ABC originally planned to stream the 90-minute debate LIVE on their website, but decided to reschedule the broadcast to capture a larger audience. They will broadcast the entire debate on ABC.com on Wednesday, May 9 at 2:00 p.m. EST. The debate will be moderated by Martin Bashir, and on May 9 a shortened version of the debate will be aired on Nightline also on Wednesday 9th. Comfort -- who claims he can prove the existence of God, scientifically, without mentioning faith or the Bible -- stated, "The network originally offered me only four minutes to present my case. After speaking with Kirk and conferring with the atheists, they settled on 13 minutes. I'm ecstatic. I can prove the existence of God in that amount of time. "We are very grateful to ABC for taking this courageous step," Comfort continued. "As far as we know, nothing like this has ever been done before. ABC's website is already the 7th most visited news site, with 19 million visitors every month. But with more than 177 million people in the U.S. who call themselves Christians, we are sure that it will draw an even larger viewing audience. Is there actually evidence for God? 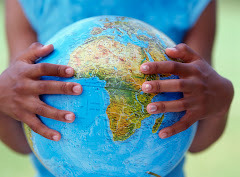 That's the most important question any of us will ever consider." Cameron added, "We are excited that the network has decided to do this, because we have something very relevant to present. Most people think that belief in God is simply a matter of blind faith, and that His existence can't be proven. We will not only prove that God exists, but as an ex-atheist I'll show that the issue keeping so many people from believing in God -- Darwinian evolution -- is completely unscientific. It's a fairy-tale for grownups." The debate came about after ABC ran a story in January about hundreds of atheists videotaping themselves blaspheming the Holy Spirit. "But," Comfort continued, "there is something more sinister here than a few people not believing in God. Why would so many be so bitter against Christianity in particular? Why aren't they making videos that blaspheme Buddha or Mohammed or Ghandi? We made our own video clip and posted it on www.Hollywoodblasphemy.com to expose why. As of May 2 there is still an opportunity for people to join in the debate, by submitting questions that will be passed on to the panelists. ABC will limit the live audience to 100 people, evenly divided between atheists and believers. For further information, contact mark@livingwaters.com.